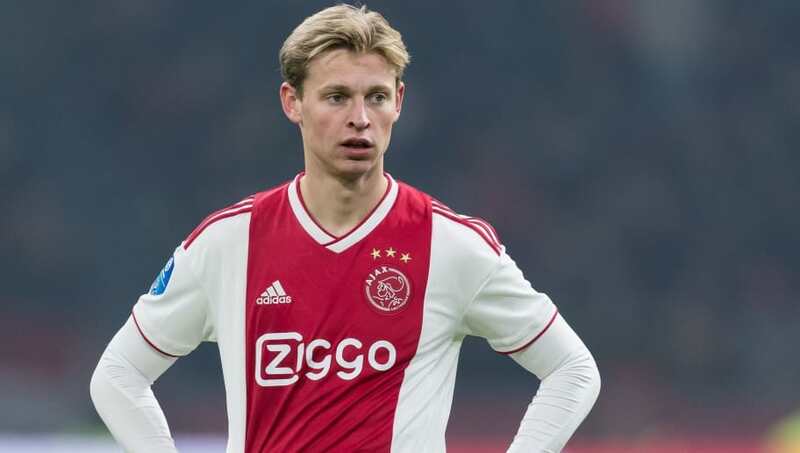 During their campaign to sign Ajax starlet Frenkie de Jong, Barcelona reportedly convinced the Dutchman to choose them over Paris Saint-Germain by telling him of Neymar's wish to leave Paris and return to Catalonia. In recent years, de Jong has established himself as one of Europe's most exciting prospects, and the likes of PSG and Manchester City​ were heavily linked with a move for the midfielder. However, it was Barcelona who secured an €86m deal to sign de Jong, and he will move to the Camp Nou at the end of the season. News of Barcelona's tactics in the deal comes from Spanish outlet AS, who sensationally claim that learning of Neymar's feelings was one of the decisive factors in de Jong's choice to join Barcelona over PSG. Neymar's desire to return to Barcelona is reportedly evident in a series of WhatsApp messages in the possession of club executives and Neymar's former teammates. The Brazilian is said to have complained about the standard of football in Ligue 1, as well as the poor weather, before admitting that he made a mistake in leaving Barcelona for PSG in 2017. After hearing Neymar's feelings, de Jong is said to have recognised that joining Barcelona would be his preferred option. AS also note that, given the cost of the move for de Jong, a potential return to the Camp Nou for Neymar now seems unlikely. This season, Neymar has already racked up 20 goals and ten assists in all competitions for PSG, who currently sit atop the Ligue 1 table. They have a ten-point lead over LOSC Lille in second, and the Parisians also have three games in hand over their closest rivals. Monaco, the only side to have beaten PSG to the Ligue 1 title in the last six years, are currently 38 points behind PSG in 19th. Instead of joining PSG, de Jong will instead move to ​La Liga leaders Barcelona, where he will compete with the likes of Sergio Busquets, Arthur and ​Arturo Vidal in the heart of the side's midfield.